This is the fourth post in our series comparing the WordPress framework and the Wix platform. As with anything online, there are advantages and disadvantages to both. When it comes to design features and functionality, which is best? WordPress: There are many frameworks and child themes to choose from in the WordPress community. They can be used as is to create a website or be used as a starting point to produce a more customized site. But WordPress isn’t what you’d call a “free-form design” platform. 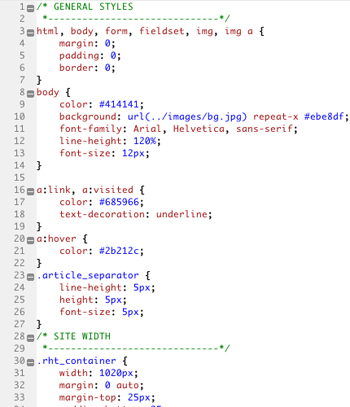 If you want to build a custom site, you’ll need to know a little HTML, CSS and/or PHP (or hire someone who does). But many simpler changes or additions such as colors, images or backgrounds, navigation menus, blogs, forms, etc. can be achieved by choosing a child theme and using the dashboard to make the changes. WordPress can be very user friendly when it comes to design if one takes the time to learn it. However, you can become frustrated if you have a specific design in mind and aren’t flexible or willing to try a little coding. For instance, most child themes have regimented sizes for the header image, which is where you’d normally place your site’s logo. If you aren’t interested in doing any coding, the trick with a WordPress website design is to sketch out a general idea of what you want it to look like and what functionality you want it to have. Then based on that, pick a child theme that closely resembles that idea. But where WordPress lacks in “free-form design,” it makes up for it in its plethora of available features and plugins and – more importantly – the ability to support those various design functionalities. For example, it doesn’t do you a lot of good to include an image gallery or video in your website design if the platform can’t support the speed it needs to display correctly. WordPress also incorporates widgets and multiple column design options to help you customize your site. Wix: If your main consideration is “free-form design,” then Wix is the answer. It’s a drag and drop platform and basically if you can dream it, you can design it. By saying that, you may wonder why anyone would use anything but Wix. The problem is that Wix is far from perfect. Both WordPress and Wix are web-based platforms. That means that for both platforms, you need to sign into a website to work on your personal site. That also means that the speed of your work should only depend upon the speed of your connection; but that isn’t the case. Wix is painfully slow when it comes to designing. You can make a cup of coffee in the time it takes to insert an image onto a site sometimes. We wish we were exaggerating. However, if you’re wiling to have some patience during the design process and also willing to overlook slow load times, a “free-form design” is possible with Wix. So what’s your better design option? How We Can Help: Do you have a specific design for your website in mind? Contact us, tell us about it and we will find the perfect platform for your website. Overall Recommendation: While “free-form design” might sound attractive for a new website design, we are confident that we can find a WordPress theme that can accommodate your needs without any of the slowness with design and load speed associated with Wix. Our next WordPress vs. Wix blog post will focus on e-commerce. Want to learn more about design capability of WordPress or Wix?